LOCKPORT, Ill. (WLS) -- A Lockport, Ill. man was sentenced to nine years in prison for beating his fiancée while wearing brass knuckles earlier this year, officials said. Robert Szymanski, 26, of the 1700-block of Hamilton Street, also looped his belt around the woman's neck and choked her during the January 16 attack. He pleaded guilty to domestic battery-related charges on June 22. He was sentenced to nine years Friday. 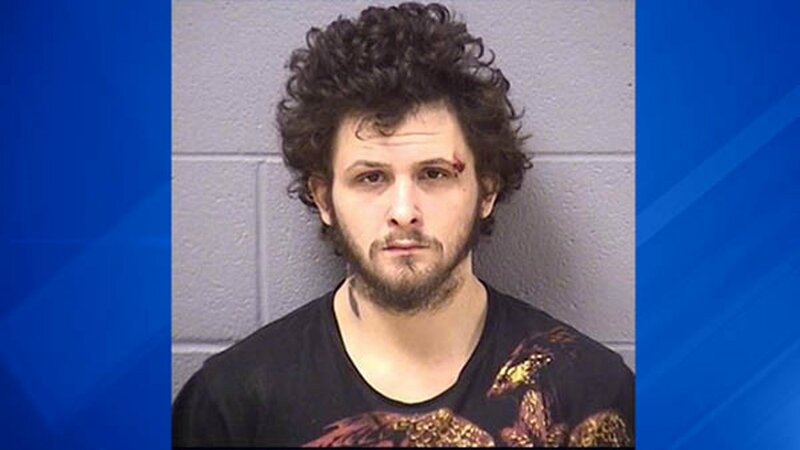 The Will County state's attorney office said Szymanski became angry at his fiancée after drinking alcohol and taking Xanax, which he did not have a prescription for. He threw her down on the couch and began choking her with his hands. According to officials, he then began punching her in the head and body while wearing brass knuckles. At one point during the attack, he choked her unconscious and then choked her with his belt after she woke up. Officials said that during the attack, Szymanski told her that she was his "property." The woman was able to escape the house and had a relative take her to the emergency room after he fell asleep. After receiving treatment, she reported the attack to Lockport Police. The victim suffered a fractured hand and serious bruising to her neck, head and body.